The defining feature of the Blue Hibou Signature Ring Waist Carrier is the exceptionally comfortable ring waistband. 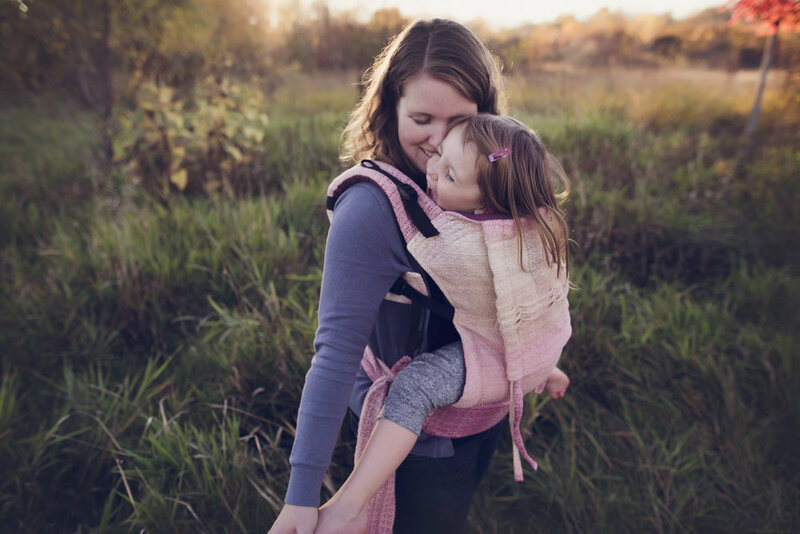 In other areas of the babywearing world, this type of carrier style is also known as the 'reverse half buckle, ring waist' or abbreviated as RHB-RW. This means the shoulder straps are some sort of buckle and the waistband is composed of rings attached to one side and an approximately 32" long wrap strap that runs through the rings. What sets Blue Hibou apart from other styles is the method Jo has designed for the attachment of the rings to the waistband, combined with the styles of waistband padding available. Every Blue Hibou Signature Buckle Carrier has ample seat darts for easier positioning and a roomy seat area for your little one. Each Signature Buckle Carrier comes with a Sewn-In Flat Hood. Available for both Single Adjust and Dual Adjust 2" Buckles, as well as Ring Waist Carriers.